Featured in Voyage Chicago: Inspiring Stories & Chicago’s Best! -Easy text or email communication. 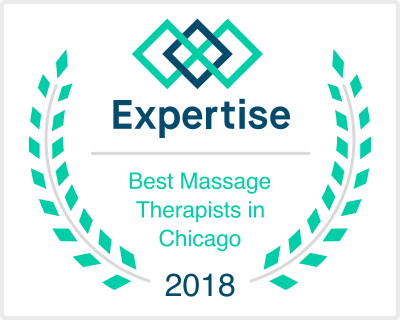 Voted #1 in ‘Massage Therapy’ by Yelp! “Expertise.com, lists the best local professionals in each US city, to give our readers the confidence they need to make the right choice. To do so, we analyzed and scored each business across 25 criteria.